Did you know that there are only 177 days til Christmas? Next week is officially my one year blog anniversary and I'm going to share how to make Homemade Vanilla Extract in time for Christmas. You might be wondering why I'll be writing about Christmas in July...but have no fear, talking about it now is a whole lot better than talking about it in the middle of November or December! I was super bummed when I read about fun Christmas gifts to make and didn't have the time to do them. I'm trying to help and share ideas now. Sorry in advance to all of my family and friends who read my blog, you might know what your gifts are! Speaking of Christmas, last year we drew names and I picked my sister, Heidi. So, I got her a present that she really wanted, tickets to see Broadway Sacramento's play: Wicked. I stood in line on a freezing cold Saturday in December and the fellow ticket-purchasers convinced me to buy tickets to see the play myself. I did. A few weeks ago the Hubster and I went with my parents, sisters, and brother-in-law. 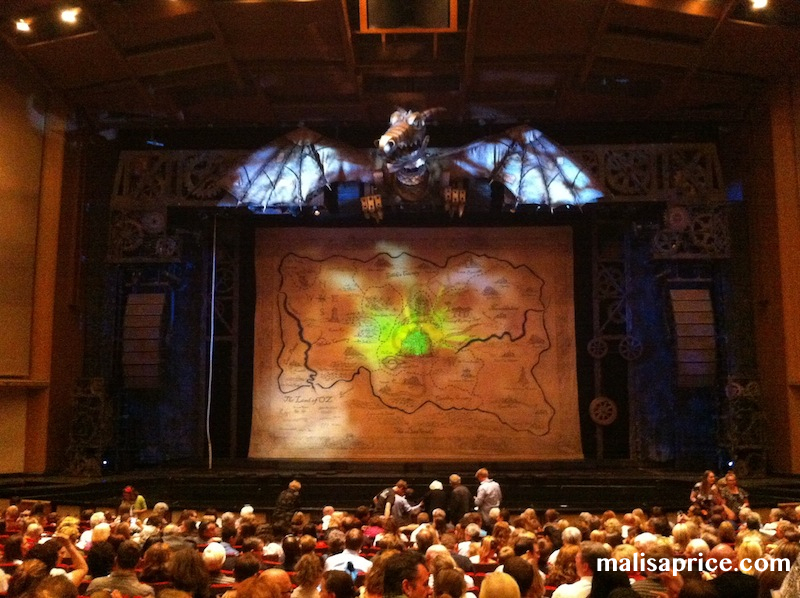 Wicked was a great play and I would recommend seeing it for all aspects of the show. Story, music, acting, and especially the stage design and special effects. Last week, I took a Free Motion Quilting Class at Sew Katie Jean in Lincoln. Melody, a gal I met at the Sacramento Modern Quilt Guild, taught the class. Free Motion Quilting is a quilting method that doesn't involve straight lines or patterns. The sewing machine is set to stitch at the tiniest setting and you control the speed and stitch length as you move your material. Machingers are the funniest gloves I've ever seen, but helped me grip my material as I quilted the blanket. I ran out of thread, so next week, I'll show you the finished product. This week I got one of the best packages in the mail. It's a box full of fabric and scraps from Mandie (Moxie Mandie). Do you see that lovely golden elephant material? I love it! And all of these beautiful fabric pieces are helping me feel adventurous enough to try and make this gathered clutch! I always thought married people were joking when the said they loved each other more with each passing day. I now know this is true. Since I started this post off with counting days, I'll end it with another count. Today I've been married to the Hubster for 2,288 days and I love him more than I did the day we got married. He's the reason I have this blog and a major factor in helping me be the person I am today. How has your week been? Are you doing anything fun for the 4th of July?